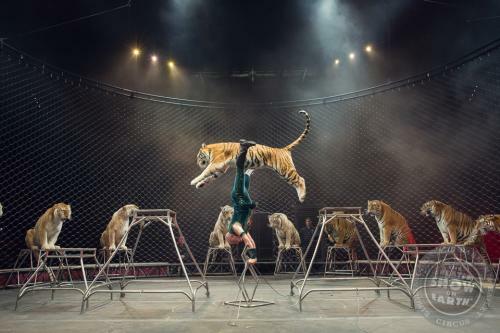 Ringling Bros. and Barnum & Bailey Circus, probably the most famous show of its kind in history, wraps up its run at Amalie Arena this weekend with tigers and tight-rope walkers and clowns. The Tampa Bay region has long been the winter home for circus performers (we are also the home of the Showman&apos;s Rest cemetery where generations of circus folk make their final curtain call). These days, the circus starts its season here when the elephants parade from Tampa&apos;s downtown train station to the arena as they did on Jan. 4. Tampa Bay&apos;s Jobsite theater company brings the work of playwright Israel Horovitz to the Shimberg Playhouse at the Straz Center for the Performing Arts. Horovitz has been in Tampa Bay during the production of his "Lebensraum," which uses a cast of three quick-change actors to create dozens of characters to explore the idea that a German Chancellor might, as an act of redemption, awake from a nightmare and invite six million Jews back to Germany with a promise of citizenship and jobs. What will happen next in this dark comedy? For mature audiences. Performances on Jan. 17 and Jan. 24 include special discussions after the performance. 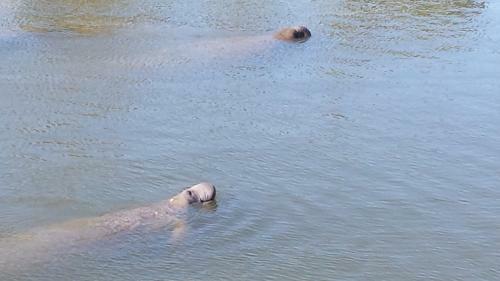 Now&apos;s the time for catching Florida&apos;s resident West Indian Manatees in action. As temperatures fall, these gentle giants huddle in the warm water flowing from the power company&apos;s Big Bend electric station in Apollo Beach south of downtown. A large observation deck and education center give everyone a chance to learn about Florida&apos;s State Marine Mammal, which may be recovering enough in population to be upgraded from endangered to threatened. Come stretch your boundaries (get it?) in the beautiful setting of downtown&apos;s Curtis Hixon Waterfront Park with this free weekly group yoga session sponsored by Yoga Downtown Tampa. Practice your deep breathing as you think "warrior," "tree," or "mountain." It&apos;s a great way to say "Namaste" to the weekend.